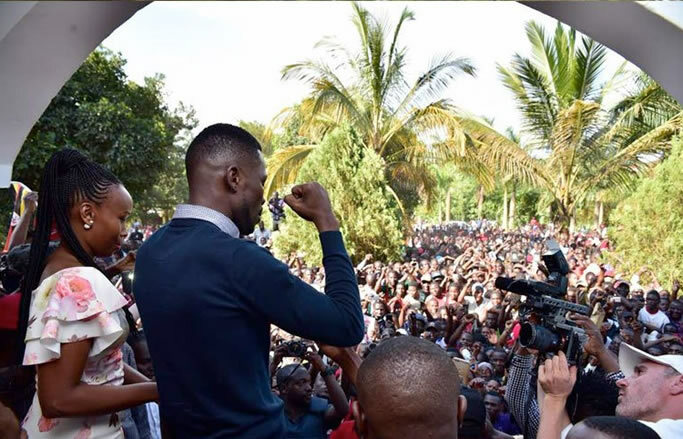 On Thursday, the Kyaddondo East Legislator Kyagulanyi Ssentamu Robert alias Bobi Wine returned to the country from the United States where he had gone for medication. However, there was a massive deployment of security forces allover the roads leading to Entebbe as Bobi Wine supporters were prohibited from welcoming him. Just minutes after reaching the Entebbe Airport, he was arrested by Police and taken to Kasangati Police station. 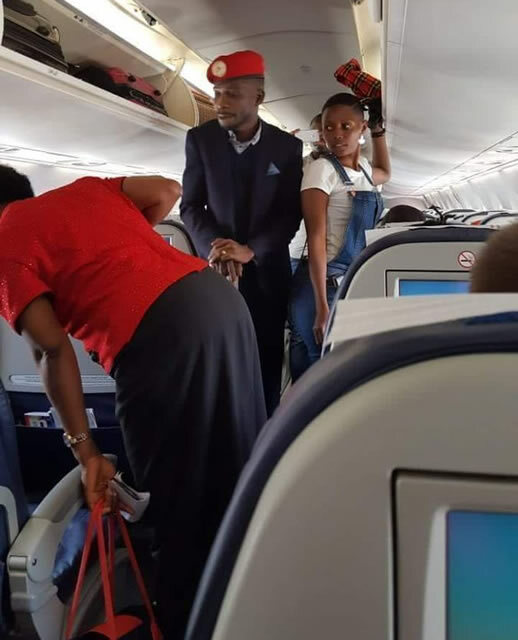 This is when a picture that was taken by a passenger aboard Kenya Airways showing a police officer standing next to Bobi Wine surpassed the Internet as many though she was a spy, a claim she later dismissed. Here is more about her. 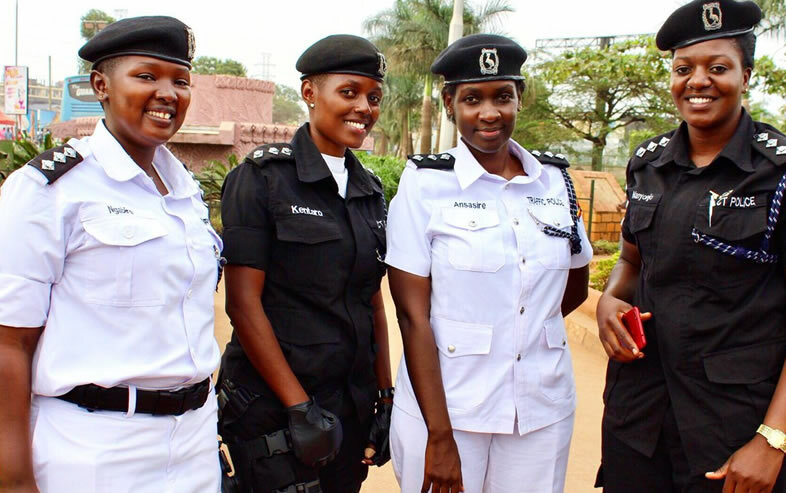 Pamela Kentaro, the now celebrity Police Officer was Married to Bruce Balaba, the Chairperson Makerere University Appointments Board who both hail from Kabale District in Western Uganda. They wedded about seven years ago in Kampala, getting a colourful reception at Kampala Serena Hotel. However, it is understood that the two couple broke up six months after their wedding over what they described as ‘irreconcilable differences.’ This is where she joined the police force. She is currently attached to Police’s Counter Terrorism docket. According to friends, Kentaro is a social and amiable woman, attending most of the music concerts in Kampala but tough and results-oriented while on duty. Her family is also engaged in restaurant business. She went to Nakasero Primary School. Kentaro also cleared air saying that she and the singer turned politician have been friends for long and he was very aware that she was a Police Officer.